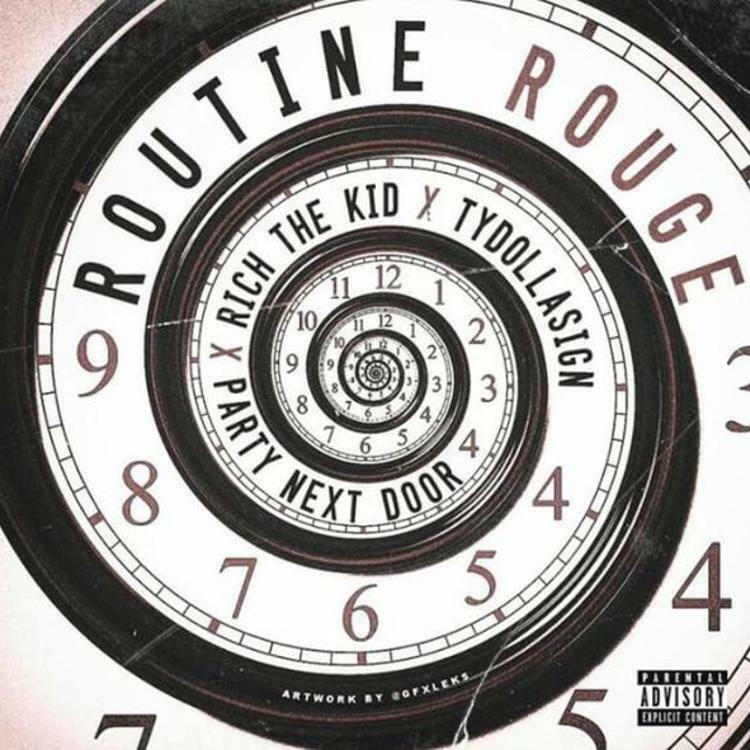 Rich the Kid, PartyNextDoor, and Ty Dolla $ign unite for "Routine Rouge." As if 7 new PND tracks weren't enough, he's now showed up on a brand new single from fast-rising Quality Control rapper Rich the Kid. Also on "Routine Rouge" is Ty Dolla $ign. The record is stacked, and the collab coasts along seamlessly. Rich the Kid is far from Migos' backup, and he continues to get more creative with each record he drops. Upon seeing the lineup, you might expect a club track, and although it's suited for late, late nights, it demands a deep and immersive listening experience because of the impassioned vocals each artist contributes. It's unclear what project "Routine Rouge" will end up on, but whoever gets it should consider himself lucky. Production comes from PND as well.